Home » How much does it cost to get fitted wardrobes? Fitted wardrobes are the ideal way to maximize the storage space in your bedroom as they allow you to use every available inch of room. Moreover, they also help you to keep things tidy and organised with a place for everything and everything in its place. Although often more expensive than orthodox wardrobes, fitted wardrobes do provide additional storage space as they are fitted from celling to floor. There are many benefits to having fitted wardrobes installed. 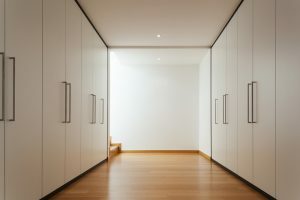 Fitted closets allow you to use all the space available, including awkward spaces such as those under sloping ceilings. You will have plenty of room to store everything you need and more. Many also can be fitted with sliding doors, which is another space-saving way to use more of your room. These are particularly useful in small spaces where there is little room for wardrobe doors to easily swing open. Fitted wardrobes are also available in a range of styles and finishes so you can choose ones to suit your taste. You can have other elements of your furnishings such as beds, drawers and bedside tables match your wardrobes. In addition, as fitted wardrobes are designed to your personal requirements you can tailor the storage in them to meet your exact needs. Whether that is for a collection of shirts, shoes or handbags, you can have the ideal wardrobe for your clothes and accessories. Fitted wardrobes are also easier to keep clean. You will never have to climb on a chair to dust the top of your wardrobe again! Your new fitted wardrobes can also incorporate lighting features, mirrors and dressing tables, keeping the rest of your room clean, clear and minimal. Fitted wardrobes can also make your home more desirable to potential buyers. Investing in the right storage for your bedroom is a practical decision that can help you keep organised and will make a difference to your everyday life. Your clothes will stay in good condition and be easy to view, so choosing what to wear gets a whole lot simpler. In addition, with bespoke storage tailored for you, it will be simple to find whatever you are looking for. Fitted wardrobes vary in cost depending on the materials and fittings used as well as the size of the wardrobes required. The cost will also depend on whether you install the wardrobes yourself or have fitters do the work for you. Off the shelf” wardrobes – You can buy wardrobe components in the same way as you can buy kitchen cupboards. 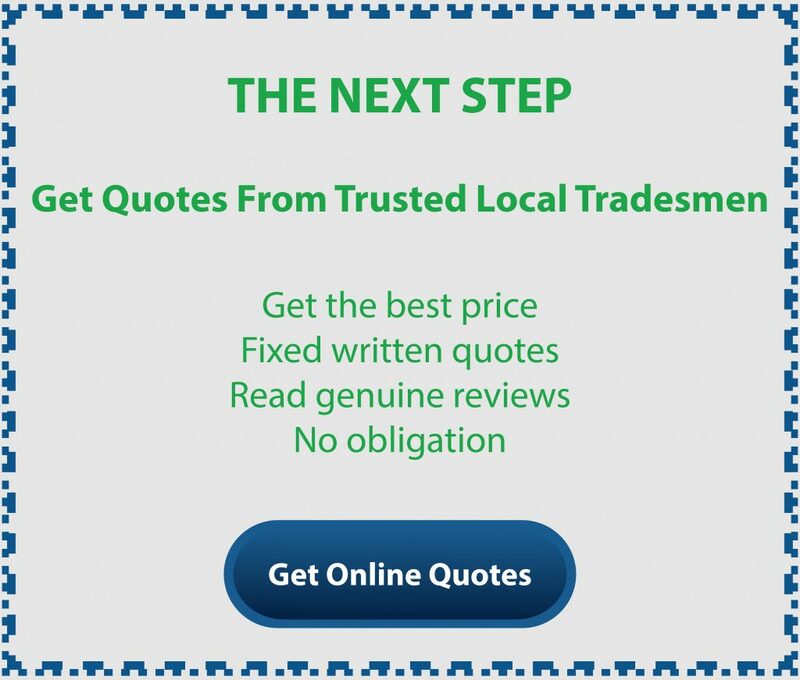 You can then install these yourself or employ a fitter or carpenter to install them for you. This is a cost-effective solution and you will find plenty of styles on the market. You will also find a variety of shelves and other fittings to help you make the most of your space. However, the ultimate finish will be limited by what is available, so the result may not be quite as personally tailored as a bespoke solution. “Off the shelf” wardrobes are available from around £300 for a small, simple closet to take home and fit yourself. Budget Ranges – Budget ranges offer good quality fixtures and fittings in a range of combinations to help you make the best use of your space. You can choose from a variety of options to tailor the design to your requirements. Expect to pay around £800 per linear metre to have a budget range designed and fitted in your home. Costs will be higher if the space is very irregular. Mid-range options – Mid-range options offer great quality, a varied choice of finishes and a huge range of options. Expect to pay around £1500 per linear metre for design and fitting of wardrobes in this price bracket. Premium ranges – With premium ranges you will get the highest quality materials and each aspect of the wardrobe will be designed and tailor-made just for you. This comes at a cost, however. Prices in this range start at around £3000 per linear metre. The great thing about going bespoke and having a professional joiner build your wardrobe is that you have complete control over the look and finish as well as the functionality of your furniture. What type of design should I choose? Sliding door wardrobes – These are great for small rooms and give a stylish and contemporary feel. The sliding doors can also be mirrored which will make the room seem bigger. Three drawer wardrobes – A more traditional option is a three-door handcrafted wardrobe. This can have details such as mouldings and columns. Your wardrobe can contain your choice of hanging rails, drawers and shelves. This option will cost around £2,500-£2,800 depending on the materials used and the finishes chosen. Six door closets – For large rooms, a six-door closet will make the best use of the space. This type of wardrobe is made up of three sections which accommodate drawers, shelves and hanging space. Prices start from £4,800 depending on the interior and exterior finishes and construction material. How easy is it to fit wardrobes yourself? It is possible to design and install your own fitted wardrobes if you have good DIY or carpentry skills. You should spend plenty of time on the design stage and perhaps utilise the help of a professional to prevent you from making costly mistakes. Most fitting companies will offer a free consultation and design service which you can use to obtain a design and precise dimensions. It is vitally important to measure everything accurately before ordering or buying your component parts. DIY fitted wardrobes give you many of the benefits of tailor-made closets at a fraction of the price of bespoke fitting. However, it can be a tricky and time-consuming job and if you do not have good carpentry skills you may end up with a finish that is not as high as you hoped. In addition, mistakes can be costly. It should also be noted you could also design and order the wardrobes yourself and then employ a carpenter to fit them for you. Choosing fitted wardrobes is a great way to personalise your living space and make a practical difference to your day to day life. Whether you do it yourself or go for a bespoke solution you are bound to enjoy the improved look and functionality of your bedroom.